Welcome to Egham AI Ltd, and to Aichoo. We have developed the Aichoo platform, which we and our partners are using to build advanced AI applications for our customers. 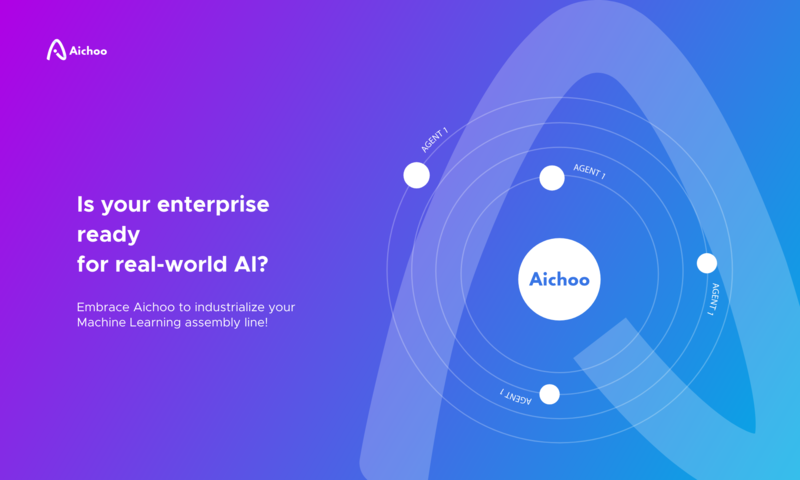 Aichoo is an AI or Cognitive application platform, which collects enormous amounts of structured and unstructured data, processes that data using the best from thousands of machine-learning algorithms to most accurately predict outcomes, and refines that process as it learns. Aichoo enables AI applications to be developed quickly and reliably. We and our partners are using the Aichoo platform to develop a range of vertical applications for enterprises, improving their customer acquisition or retention, enabling better hiring, improving investment decisions, and so on. IBM Watson are a technology and marketing partner, working with Egham AI to deliver advanced predictive systems and applications. Oleeo (formerly World Careers Network plc) are a technology and marketing partner, where AICHOO is integral to their Applicant Tracking System. Aichoo improves the robustness of Oleeo’s Predictive Recruiting Scoring tool, helping leading employers benefit from early evaluation of applicants based on responses given within online application forms. Arrow ECS are a distribution partner, working with us on channel distribution of AICHOO and its vertical applications. CloudSense are presently developing a new offering that uses AICHOO to aid clients in the mobile telecom space who wish to better understand their customers’ propensity to switch supplier (’customer churn’). AICHOO, in partnership with WCN Plc, has been used to develop an innovative Predictive Recruiting Scoring system, which helps leading employers, such as large banks and retailers, benefit from the best possible early evaluation of applicants based on responses given within online application forms. Through dashboards in the applicant tracking system, recruiters are able to see the percentage forecast of interview probability and offer probability for all applications. The tool works to reduce unconscious biases and enhance diversity by uncovering strong candidates who may have gone unnoticed in a non-intelligent or manual process. In addition, recruiters can see individual profile graphs that show how the algorithm used data about the candidate’s education and work experience to generate these probabilities. Recruiters gain insight and reasoning into which characteristics score the strongest. We have been working with a partner and a marketing agency on a client project to predict future revenue from online enquiries worldwide. Aichoo is the central platform on this project collecting information from multiple online marketing campaigns, evaluating customer responses and learning from successful outcomes. We have used AICHOO to develop an application for a major retail bank that analyses disparate sources of information in order to rank customers for marketing and debt collection campaigns. It has removed the need for lengthy manual data analysis as well as reduced the overhead of employing data scientists. The bank reports cost savings of over 30% on their marketing spend, while simultaneously increasing the effectiveness of their marketing campaigns by up to 600%. As a result, our client has experienced a huge increase in profitability and ROI. The above was achieved in record time because Aichoo provides a comprehensive platform, removing the need for experimentation and trials. Furthermore, the system learns and improves as new data arrives, continuously evolving without human input. The system is now available for purchase, as one of our vertical application products. AICHOO has been used to develop an application for investment firms to analyse high and medium frequency trading data in order to optimise risk and improve investment processes. Publicly traded financial instruments are the greatest challenge for any data analysis system. The data is close to random with more than 97% noise. Any possible assumptions about the regime or structure that may persist change second by second, making it impossible to rely on any static model. Aichoo copes with such uncertainty because of its inherent capability to continuously adapt and self-improve. By deploying a highly specific application on top of Aichoo plus enormous computing power to speed up the processing, the system has achieved practically useful results even on such a high noise-to-signal application.